Tomatoes, according to University of Illinois Extension, are one of the most popular garden vegetables grown today. There are hundreds of tomato varieties, including heirlooms, which have distinctive shapes and flavors. Growing tomatoes requires the right kind of nutrients and care. Sulfur is often an overlooked element in the production of quality tomatoes. Check the soil fertility of your planting area by performing a pH test. pH tests are available form most good garden centers or through your local university extension service soil laboratory. Pay heed to the micronutrients results when testing the soil. Sulfur is a micronutrient, one needed in small amounts. Sulfur is important in the growth of healthy tomato plants,along with potassium and boron. Sulfur helps provide the flavor to the tomato plant. Neglecting the sulfur content of the soil may lead to tasteless tomatoes, according to Rutgers University's New Jersey Agricultural Experiment Station. Sandy soils as well as soil with a low amount of organic matter tend to be low in sulfur. Sulfur is available in the form of organic compost or the mineral gypsum. Fertilizers such as potassium sulfate, potassium magnesium sulfate, and super-phosphate contain high amounts of sulfur, but are only usable when the other major nutrients included are required. 20 pounds of sulfur per acre is best for vegetable production. Add organic matter and adequate fertilization to the soil before planting the tomato plant to ensure good sulfur levels. Apply a complete starter fertilizer at time of planting. Side dress tomato plants throughout the season. Use ammonium nitrate fertilizer at a rate of one pound per 100 feet of row once the tomatoes have grown to the size of a golf ball. Sulfur is commonly used as a fungicide in the garden notes Utah State University Extension. Sulfur sprays or dusts are available to combat powdery mildew and other fungal based diseases. Spray is applied to the tops and bottoms of the plant foliage. The application is repeated every seven to 10 days. 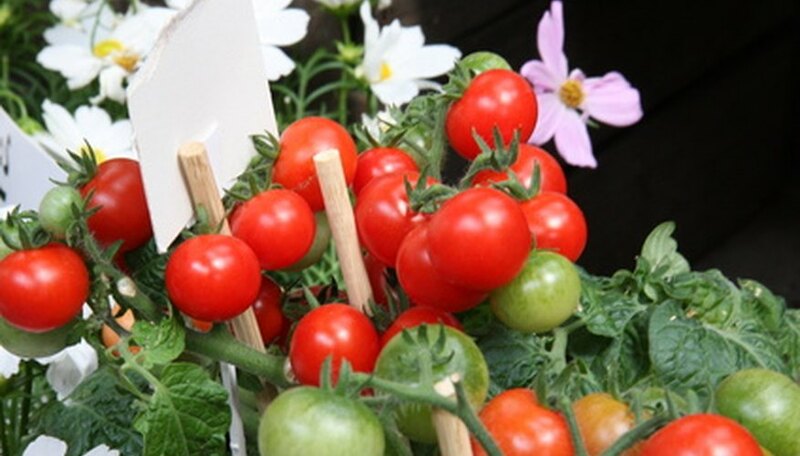 Rutgers: Can Soil Fertility Improve Tomato Flavor?